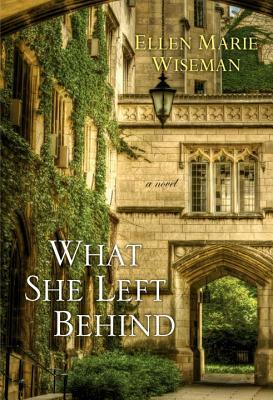 When Izzy first arrives at Willard, she’s afraid to go inside the old buildings because they remind her of visiting her mother in the psychiatric ward. She also has a difficult time handling the contents of the old suitcases because they remind her of the dead and dying. Some people would find the abandoned asylum fascinating, while others would stay away. Would you want to go inside the buildings? Would you want to go through the old suitcases? Before coming to live with Peg and Harry, Izzy cut herself to deal with her emotions. Self-harm is most common in adolescence and young adulthood, usually appearing between the ages of twelve and twenty-four. Have you ever heard of self-injury as a way of dealing with emotional pain, anger, and frustration? Why do you think some people hurt themselves as a way of coping? What do you think would have happened to Izzy if she had lived during Clara’s time? Displaying opposite ends of the spectrum when it comes to a mother’s protective instinct, Izzy’s mother shoots her father to protect her, while Shannon’s and Clara’s mothers do nothing to protect them. Discuss the maternal instinct. Do you think it’s stronger in some women than in others? Do you think the difference is due to circumstances, as in the way women are brought up, or do you think the difference is due to genetics? Clara tries everything she can think of to get out of Willard. Is there anything else she could have tried? New York State has sealed the medical records of former mental patients, even denying access to the descendents. Why do you think they remain sealed? Do you think this law should be changed? How do you think Izzy changed over the course of the novel? How did Clara change? What were the most important events that facilitated those changes? At first, Dr. Roach truly believes Clara needs help, partly because of Clara’s father’s stories, and partly due to the era, when emotional outbursts were often seen as a sign of mental illness. Why do you think Dr. Roach refused to release Clara even though Bruno confirmed the truth about why she was there? Why do you think Dr. Roach committed Bruno to the asylum? Do you think Dr. Roach was more worried about his reputation and his job, or concealing the fact that he took Clara’s child? Izzy refused to visit her mother in prison because she was afraid. Do you think she was angry with her mother, or just sad and scared? Clara refused to go along with the arranged marriage to James because she was in love with Bruno. She had no idea her father would send her to an insane asylum. Hindsight is always 20/20 and, in Clara’s time, women were still subject to the whims of their husbands and fathers, but what would you have done in that situation? Would you have obeyed your parents’ wishes and married James? Would you have continued seeing Bruno? Bruno had no idea Clara was at the Long Island Home because he never received her letters. Izzy couldn’t understand why her mother shot her father until she read her mother’s letters. Can you think of an instance in your life that would have turned out differently if you’d had more information? Do you think most people jump to conclusions, or that they try to find out all sides of a story? Nurse Trench presented a tough exterior while hiding a soft interior. How did you feel about her when you first met her? How did you feel about her when she was an old woman? Do you think Nurse Trench could have tried harder to help Clara while she was at Willard? What could she have done? Izzy feels like nothing will ever change when it comes to bullying. What do you think? What can be done to make those changes? Do you think we’ve made progress when it comes to bullying, or do you think things have gotten worse? Clara is sterilized after she gives birth, because Dr. Roach felt it was his duty to keep her from passing along “inferior” genes. Do you think it was right for doctors to make that decision for patients who were considered mentally ill? Do you think the government should have a say in who can and cannot reproduce? How far do you think we’ve come when it comes to a woman’s reproductive rights and the right to choose? Bruno had to nail Clara inside a coffin for them to have a chance to escape. Would you have been able to stand being nailed inside a coffin if it meant a chance to be free? During the flood in the electroshock therapy room, someone grabs Clara underwater. Who do you think it was? Do you think reuniting Clara with her daughter helped Izzy heal? In what way? How do you think Clara felt when she saw her daughter? What She Left Behind is composed of two interweaving story lines—Clara’s in the past and Izzy’s quest in present day. Discuss the structure of each narrative. Did you enjoy the alternating stories and time frames? What are the strengths and drawbacks of this format? Which “voice” did you prefer, Izzy’s or Clara’s? Is one more or less authentic than the other? If you could meet one of the two characters, which one would you choose? How are Clara and Izzy the same? How are they different? What do you think Izzy’s future looks like? What about Clara and her daughter’s future?